Dorothy Hodgkin pioneered the use of X-ray diffraction for determining structures of biological molecules. Following her studies of penicillin (blue pill) and vitamin B12 (orange pill), she was awarded the Nobel Prize in Chemistry in 1964 for contributions to the development of crystallography. 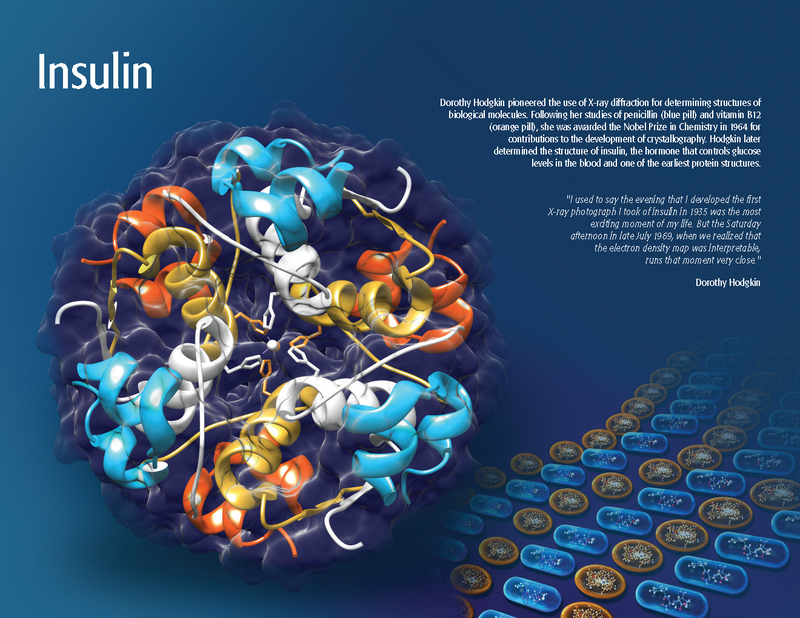 Hodgkin later determined the structure of insulin, the hormone that controls glucose levels in the blood and one of the earliest protein structures. This graphic was created by the wwPDB in celebration of 2014: International Year of Crystallography (IYCr2014) .